A change of strategy… Fixed rates… 5yr or 10 yr? Variable rate outperformed Fixed rates in over 88% of the time. You could lock into a Fixed rate at anytime should interest rates go up. you could exit the product at anytime with a maximum 3 month interest rate penalty (compared with Interest Rate Differential penalties for Fixed rates that vary depending on current rates.. we’ve seen 10, 14, 16 and even 20 months interest penalties charged in recent years). If you were in a Variable rate the last 5 years, then you have enjoyed an average rate of around 2.92% compared with a 4.37% fixed rate (annual average rate over last 5 yrs). It’s been the least expensive way to own your home… (my clients have saved between 1.45% and 3.00% per year on their mortgages over the past 5 years based on my recommendation). But then, in August 2011, the Banks caught on. They decided they wouldn’t offer those great Variable Rates or Prime less 0.75% (3.00% less 0.75% = 2.25%). They all raised the price on new Variable rate mortgages to Prime less 0.00%. And this year we have seen 5 year fixed rates hover at around 3.19% to 3.39%… 10 year fixed has also come down to 3.99% and 3.94%. If you have Prime less 0.50% or better, then considering sticking with it. 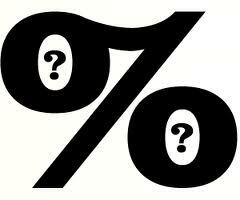 The fact is, over 80% of my clients are in a Variable rate mortgage of Prime less 0.50% or better. They have enjoyed huge savings, especially over the last 5 years. I’m not too anxious to have them start paying a higher rate….. Instead of locking into a 5 or 10 yr Fixed rate, why not set your Variable rate payment based on the higher Fixed rates… You’ll pay more towards principal and pay the mortgage off faster. If you’re getting a new mortgage or your mortgage is coming up for renewal, then I would consider a Fixed rate term.. This might shock many of my clients and regular readers, but I can’t recommend taking a new 5 year Variable rate based on today’s pricing… It’s time to look at Fixed rates… The term will depend on your own personal situation, goals and needs. 5 year fixed (currently 3.29%) is looking like a good choice for many today… But a 1 year fixed (2.89%) might also we a good choice… One product that is attracting more attention is the 10 year fixed rate (3.89% to 3.94%)… It’s never been under 4.00%… so many people are recommending it… But I’m not so sure about it…. After all, if you were to pay this mortgage out before the first 5 years, you would be faced with a monster penalty! 10, 14, 18 months worth of interest … maybe more… On the positive side, if you paid the mortgage out after 5 years, the penalty is capped at 3 months interest. If we compare the 5 yr fixed vs the 10 yr fixed, we can look at a number of different scenarios… but here’s a really simple one to look at…The question is, how much will rates have to increase by in order for you to be further ahead? A last thought and point of reflection..
Interest rates have remained below average for the last 10 years… They have been at record lows over the past 4 years due to the US sub-prime mortgage crisis and the longer than expected global and US economic recovery….. Interest rates are expected to go up… the big question is, when?? Regardless of the answer, shorter terms have ALWAYS been a better choice when it comes to mortgages… don’t be so quick to jump into a 5 or 10 year fixed rate… speak with your mortgage broker and get some advice. Banks want borrowers to be afraid.. they want you to remain unsure… They want you to lock into the longest term possible because this is where they earn the most $$profit…. Don’t be so quick to contribute the Bank’s profit margin…. Next Next post: Flaherty is, isn’t, is, isn’t changing mortgage rules? CanadaMortgageNews.ca A change of strategy… Fixed rates… 5yr or 10 yr?